Algebra is the branch of mathematics where students are introduced to symbols in their homework along with the numbers they know and love. Algebra is the study of the rules behind why common mathematics works and operates. 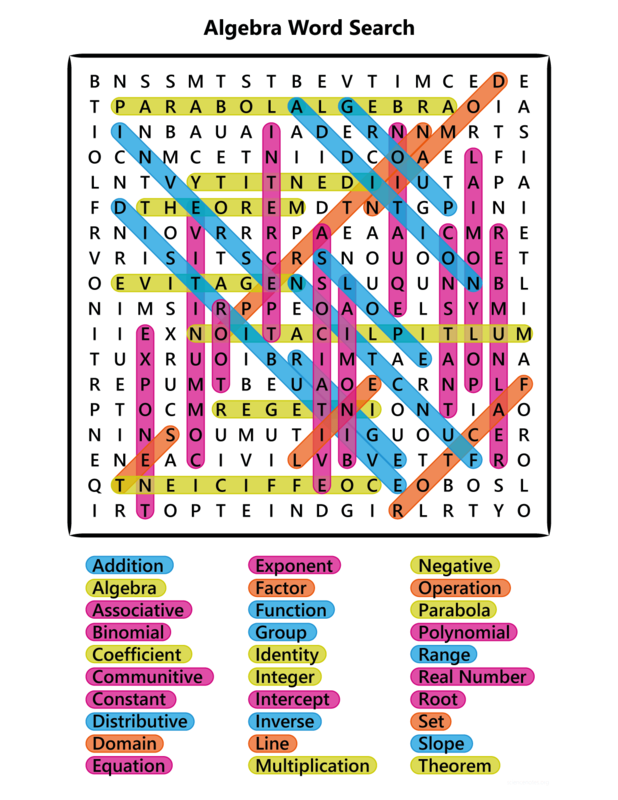 This Algebra Word Search consists of 30 elementary algebra glossary terms. Find these algebra terms vertically, horizontally, and diagonally both forward and backward. The puzzle is designed to fit on a single 8 1/2″ x 11″ sheet of paper, but scales nicely to A4 paper. For best printing results, use the PDF from the link below. Sometimes, finding a word in a word search can prove difficult. 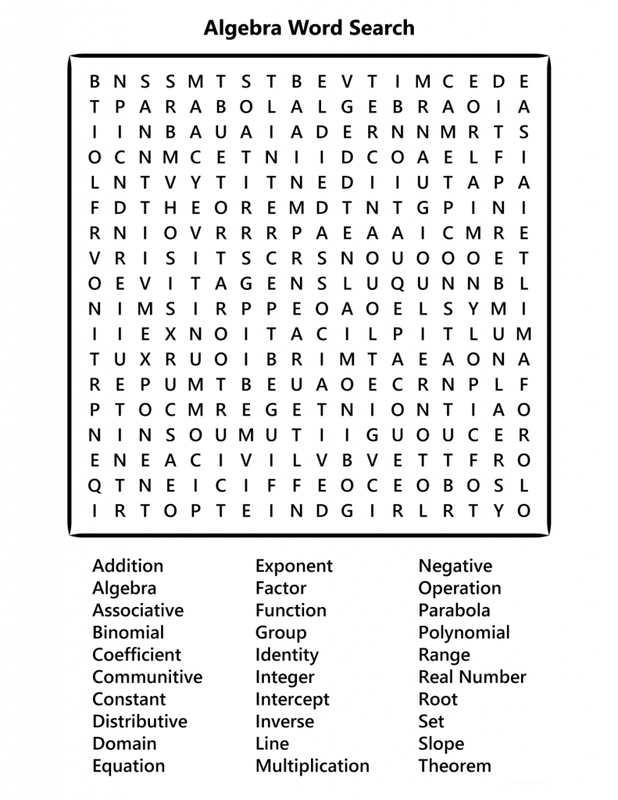 Save yourself some aggravation by checking out a completed version of the Algebra Word Search. Click the links below for your prefered method of viewing the solution. If you’d like more word search fun, check out our other science-related word search puzzles. The word algebra comes from the Arabic word “al-jabr” which means “reunion of broken parts”.